Authored by broulik on Jan 19 2018, 8:58 AM. You cannot have a history of notifications if you don't get any notifications in the first place. 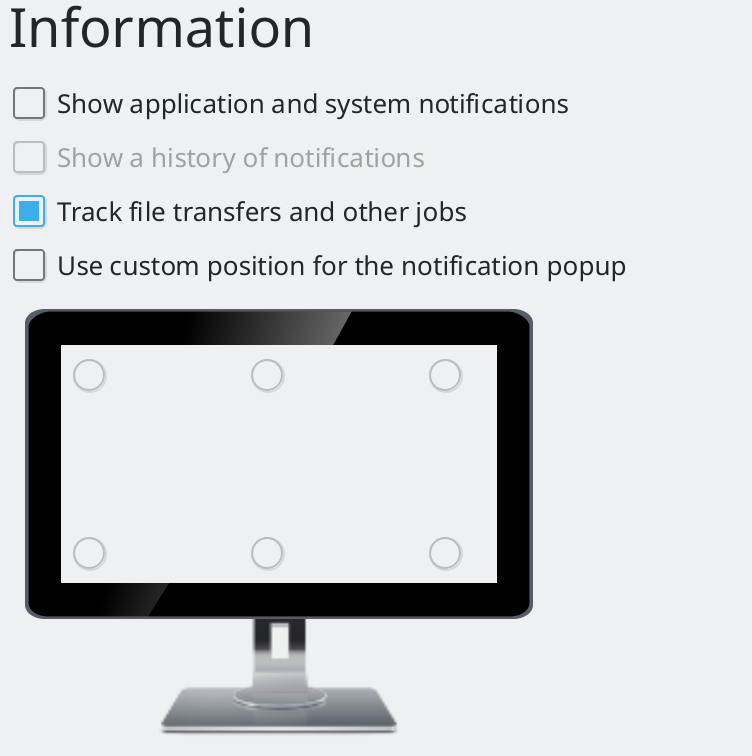 Also move checkbox below notification history as it's semantically related. broulik retitled this revision from [Notifications] Disable history check box when history is disabled to [Notifications] Disable history check box when notifications are disabled.